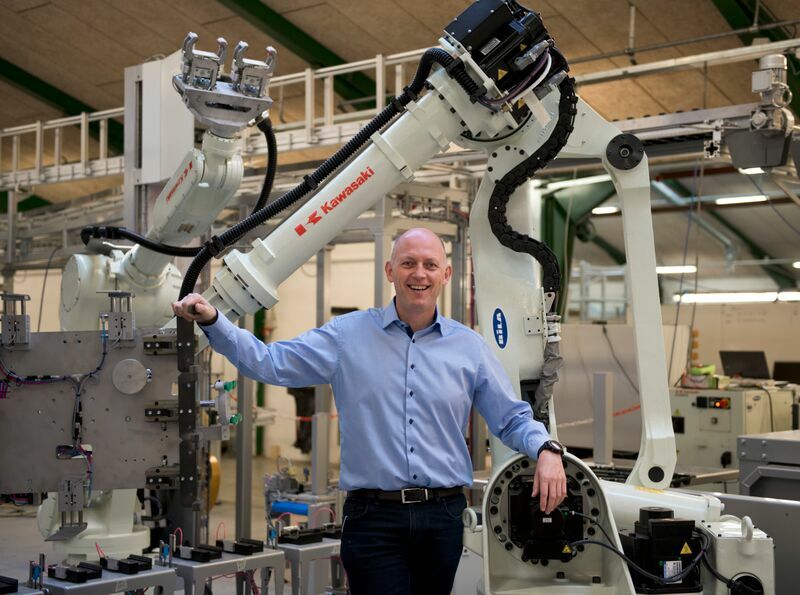 BILA is a Danish company that supplies robotic solutions to industrial companies looking to optimize their production. Leasing out (also referred to as product-as-a-service) and buy-back of used robots is an integrated part of BILA. Right now, leasing makes up around 10 percent of BILAs business, but its popularity among customers is on the rise. In addition to robots, BILA also buys back, reuses and re-sells additional components such as safety shielding, tables, production lanes and tools. These components are highly reusable, and can be implemented in similar installations or as part of a more specific project assignment. In order to support the leasing/re-sale model, BILA designs and produces their robots in modules that can easily be separated, repaired and upgraded. This allows BILA to prolong the lifetime of their products and to easily renovate and resell used products to new customers. BILA also focuses on optimizing production flows. This is done by frequently evaluating and optimizing their products to eliminate any unnecessary waste of resources. To this date, BILA has not found it necessary to dispose a whole robot. Robots that cannot be repaired are separated, and the parts that can be saved and used as spare parts in other robots are stored. Customers buying used robots or leasing from BILA invest in a sustainable and cheaper solution. Sustainable, because the robots are easily maintained, updated and reused. Cheaper, because BILA’s business model allows them to sell more robotic solutions using fewer resources. With their circular business model, BILA contributes to reducing the demand for new resources and the production of waste. As a result, BILA reduces the overall negative impact on the environment compared to normal linear business models. Reducing the demand and dependence on vital resources in the future is an important part of developing a sustainable economy in the future. BILA delivers a flexibility to the customers. By leasing robotic solutions, industrial companies can now acquire important upgrades for their production with low initial investments, and implement automatic robotic solutions without worrying about replacing, updating or repairing machinery. A challenge for BILA and other companies working with a products-as-a-service model is the current ’culture of consumption’. BILA’s customers today are used to buying products. If the transition to a circular economy and new business models is to succeed, a cultural change amongst consumers is necessary. Such a change can be supported through information campaigns, favourable legislation and companies willing to invest in the future. Frontrunners in delivering circular solutions have the possibility to show the market, that selling products as a service and reused products is not only a sustainable alternative, but also an economically attractive one.